Last month, together with my business partner in IIoT World, Carolina Rudinschi, PhD, I attended the opening of ABB’s latest Global Collaborative Operations Center in Genoa, Italy, an event that brought together 30+ analysts and 50+ customers from all over the world. The program included a live demo of the inaugural center’s capabilities, presentations by ABB’s key Digital leadership and several customers. Collaborative Operations provides performance optimization, remote monitoring and preventive analysis technologies to ensure industrial cybersecurity, improve efficiency and energy optimization in power generation and water industries among other. 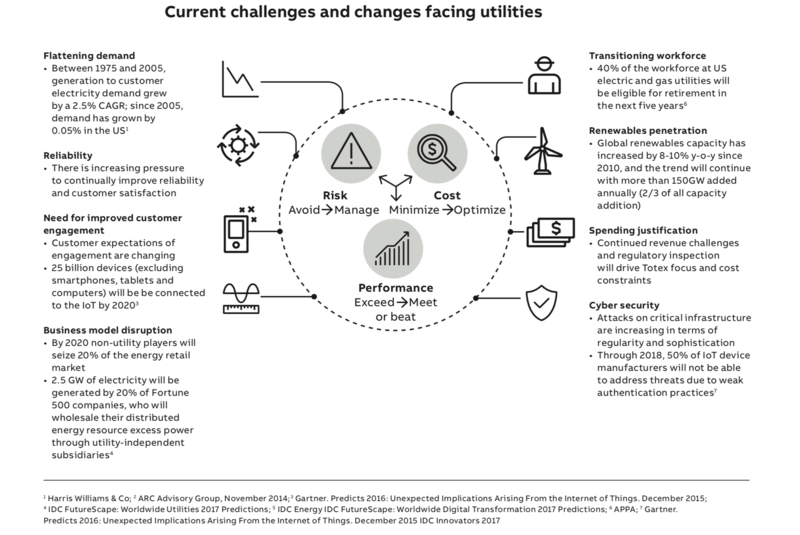 For more than 25 years utilities and energy companies have faced more and bigger challenges than perhaps any other industry. Deregulation and power trading, competition and price volatility, compliance with emissions control, the influx of variable renewables into the energy mix, flexible production instead of constant operation at base load, a generation of highly skilled people entering retirement, and the threat to plants and data of cyberattack - are among the most crucial. So, what is the solution to this stream of disruptions to traditional business models? And how can utility companies best manage risk, minimize costs and optimize plant and fleet performance? In this case, ABB is facilitating optimization through its new collaborative operations center in Genoa and others around the globe using specialists in machine learning, data analytics, AR, etc., all of them concentrated in one place. In this new era of digitization, close collaboration between partners is vital to reap the full benefits that big data and analytics offer. What does Collaborative Operations Center mean? Susan Peterson explains: it comprises a comprehensive range of digital capabilities and services that improve operational efficiency through Operational support, Analytics, Predictive maintenance, Optimization, Industrial Cybersecurity, safety and Control. Operational support is via a cyber-secure, high-speed connection to the fleet of plants to make Collaborative Operations possible. It includes new technologies like Microsoft HoloLens to make troubleshooting fast, efficient and economical. Analytics visualizes and interprets the data provided by algorithms, turning it into easy-to-read dashboards on plant and fleet key performance indicators to support management and Operations and Maintenance personnel. Analytics also simulates plant behavior to train staff how to handle critical events before they happen. Predictive maintenance applications monitor and analyze vibration, temperature and other variables to understand machine behavior, identify potential problems, pinpoint the root cause and predict when maintenance is required. Optimization incorporates a large range of applications to improve asset performance and optimize operations, including emissions monitoring, energy optimization, performance optimization and alarm management. Provides protection and continuously monitor cybersecurity to ensure that the DCS continuously follows settings and best practices. In safety, the centers enables solutions that digitalize hazard and near-miss reporting, making it faster and easier to report incidents, analyze the data and improve safety. Offers expertise in plant and process hardware and software and customers set up and operate their remote-control center for fleet operations. What outcomes should utilities companies expect? Vertical Go To Market approach: While some of the big companies focus on technology and positioned their Industrial IoT Platforms horizontal (a platform for all of their business needs), ABB's vertical approach aligns their resources based in the industry to better serve their customers and focuses on business outcomes (vs technology). Partner ecosystem: ABB has fewer partnerships than most of the other IIoT platform providers (like GE etc); they found synergies with companies like Microsoft (cloud services), IBM Watson (AI), HPE, SAP (big-data query) and a few domain specialists. 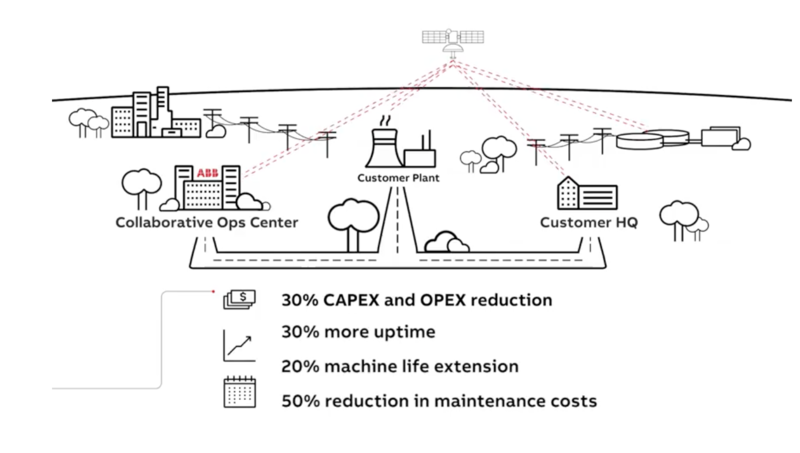 The post Collaborative Operations Center – what it means for utilities in the digital transformation process appeared first on Create a culture of innovation with IIoT World!.